Bestselling novelist Danielle Steel takes us on a harrowing journey into the heart of America’s hidden shame in a novel that explores the power of forgiveness, the dark side of childhood, and one woman’s unbreakable spirit. From her secret perch at the top of the stairs, Gabriella Harrison watches the guests arrive at her parents’ lavish Manhattan townhouse. At seven, she knows she is an intruder in her parents’ party, in her parents’ life. But she can’t resist the magic. Later, she waits for the click, click, click of her mother’s high heels, the angry words, and the pain that will follow. Gabriella already knows to hide her bruises, certain she is to blame for her mother’s rage–and her father’s failure to protect her. Her world is a confusing blend of terror, betrayal, and pain. Her parents’ aristocratic world is no safeguard against the abuse that knows no boundaries, respects no person, no economic lines. Gabriella knows that, try as she might, there is no safe place for her to hide. Even as a child, her only escape is through the stories she writes. Only writing can dull the pain of her lonely world. And when her parents’ marriage collapses, Gabriella is given her first reprieve, as her father disappears, and then her mother abandons her to a convent. There, Gabriella’s battered body and soul begin to mend. Amid the quiet safety and hushed rituals of the nuns, Gabriella grows into womanhood in a safe, peaceful world. Then a young priest comes into her life. 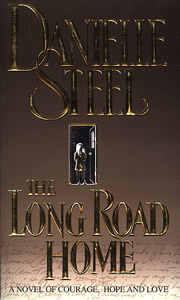 With profound insight, Danielle Steel has created a vivid portrait of an abused child’s broken world, and the courage necessary to face it and free herself from the past. A work of daring and compassion, a tale of healing that will shock and touch and move you to your very soul, it exposes the terror of child abuse, and opens the doors on a subject that affects us all. 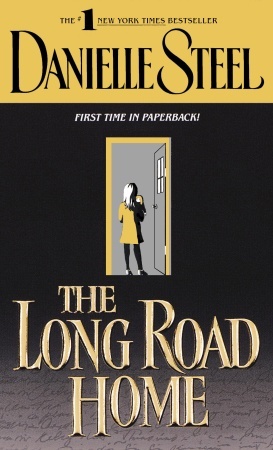 The Long Road Home is more than riveting fiction. It is an inspiration to us all. A work of courage, hope, and love.